Malaysia’s PETRONAS Dagangan Berhad (PDB) announced the appointment of Aadrin Azly, who is currently head of its retail business, as its new chief operating officer effective 1 January 2019. Succeeding Aadrin as head of Retail Business effective 1 January 2019 is Khalil Muri, who is currently the head of Special Projects under the Retail Business. Khalil has 22 years of marketing experience within the PETRONAS Group, ranging across petrochemicals, LNG as well as crude oil. 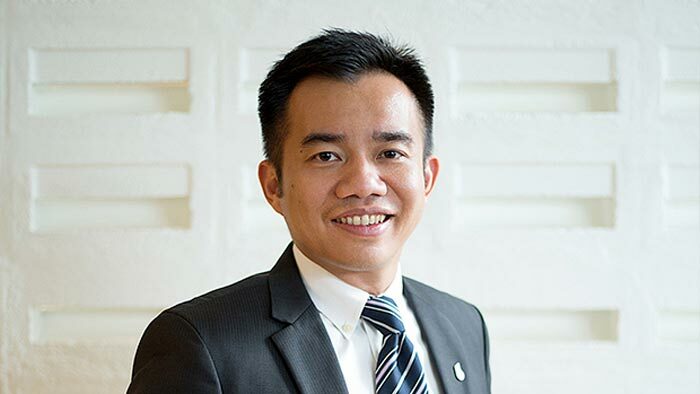 A PETRONAS scholar, Aadrin joined PETRONAS in 1999 where he spent the first six years in PDB’s Retail and Commercial businesses, as part of its Marketing Seeding Programme. He then went on to lead various units at the PETRONAS Group level; including as head analyst under the vice president of Oil Business; senior manager (Gas) at Corporate Strategy; and, executive assistant to the President and Group CEO. Before assuming his current role, Aadrin was the senior general manager of Strategy & Portfolio (Upstream). Aadrin’s return to PDB in 2016 as head of Retail Business was in line with the company’s mission to reinvent the landscape of fuel retail business. Under his leadership, PDB has expanded its customer offerings, forged significant strategic partnerships, and adopted diverse out-of-the-box marketing approaches. “In the short span of the last two years, PDB has made commendable strides within its Retail Business under Aadrin’s leadership. Aadrin has knowledge and experience of the PDB business at the grass root level, as well as breadth at various PETRONAS’ business value chain. He has been a key member in PETRONAS’ strategic studies that we conduct every few years, and has just returned from Harvard Business School after completing the Advanced Management Program. Aadrin is unconventional in his thinking and approaches; some of the efforts he has put in place take longer to generate visible results, and these he can continue to oversee within this new role as COO,” said Managing Director and Chief Executive Officer, Dato’ Sri Syed Zainal. As chief operating officer, Aadrin will oversee PETRONAS Dagangan’s diverse business operations and lead the execution of the business’ strategic plans. PETRONAS Dagangan Berhad is the principal marketing arm of Malaysia’s state-owned oil and gas company Petroliam Nasional Berhad (PETRONAS). Incorporated in Malaysia under the Companies Act 1965 on 5 August 1982 and listed on the Main Board of Bursa Malaysia on 8 March 1994, PETRONAS Dagangan has since established itself as Malaysia’s leading retailer and marketer of downstream oil and gas products.